My Not-So-Stupid Monkey — What Would Wu Wear? Readers of this blog will know that when I travel, I forego souvenirs for works of art. Instead of buying t-shirts or refrigerator magnets, I like to wander and wait for something unexpected to catch my eye. That’s exactly what happened on a recent trip to Mexico, when I discovered artist Cisco Jiménez and his collection of monkeys. At this point in my post, I’d like to admit that I do not know enough about the artist to draw many more conclusions, so I’m basing the rest of this reflection on my own impressions. 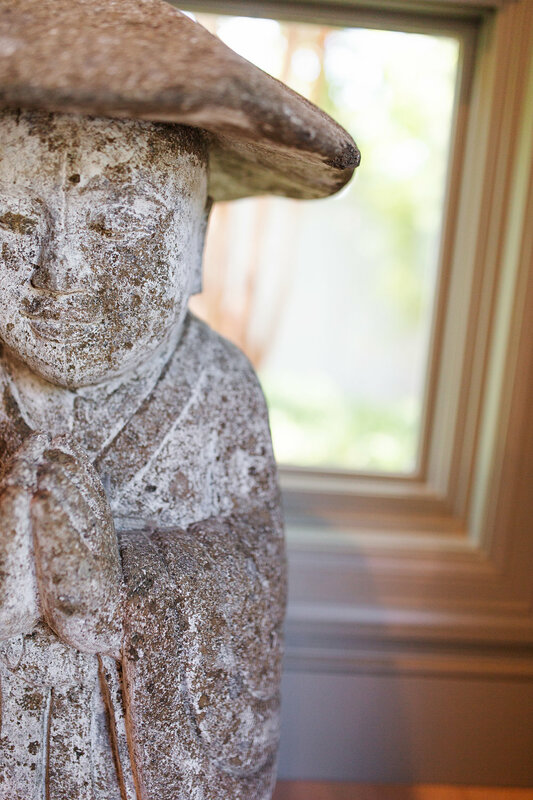 Was he inspired by Chinese art when crafting the anterior of the figurine? I did find the piece in Puebla, Mexico, which has one of the first (if not the first) Chinatowns in the Americas, so I had assumed as much. 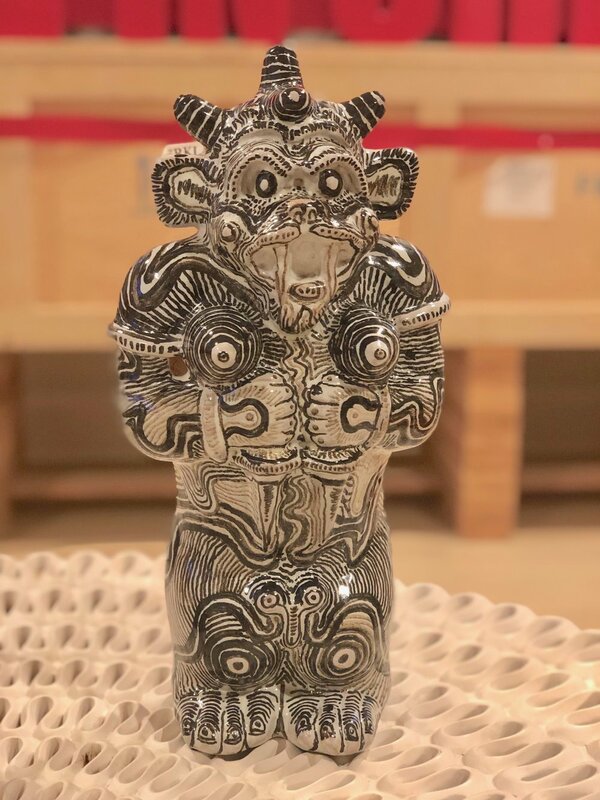 (The historical connection between the Chinese blue and white ceramic craftsmanship on the ceramics of Talavera also seemed to come through even if done in a different surface and color palate.) Plus, to me, it looked very similar to the traditional Chinese work that I studied in art history ages ago (Google Zhou dynasty). 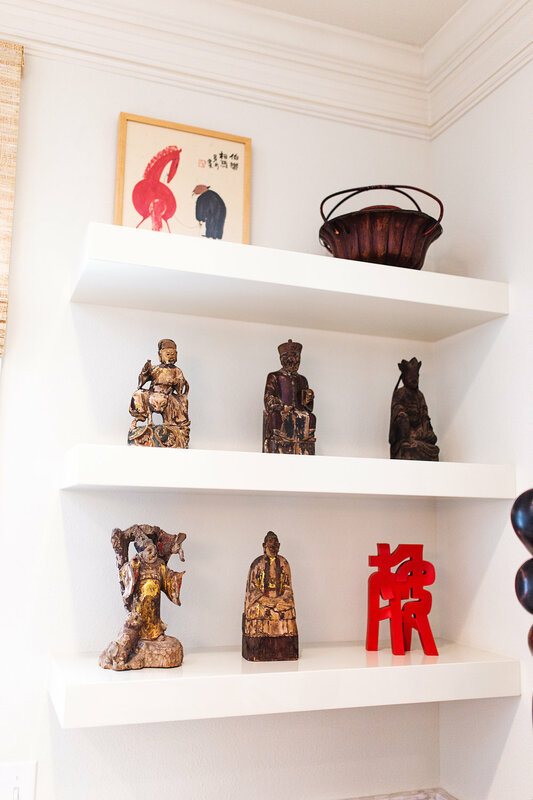 Furthermore, I love the duality of the figurine: the front is an homage to Chinese culture, while the back almost looks like a collection of graffiti and insults more typically associated with contemporary art. And, as readers will know, this juxtaposition of old and new, traditional and contemporary, Eastern and Western, is right up my alley. All that said, can I claim to know that any aspect of his work was inspired by China? I cannot. But, ultimately, I don’t think that matters. We all look at art through our own lenses; as an American-born Chinese, mine just happens to contain that specific filter. But isn’t that the point? A truly great artist can transcend genre to bring different groups of people together, and in doing so, help them learn more about themselves.